Your total on-board management system. All boat and engine performance data. On full display. VesselView - See More, Do More. 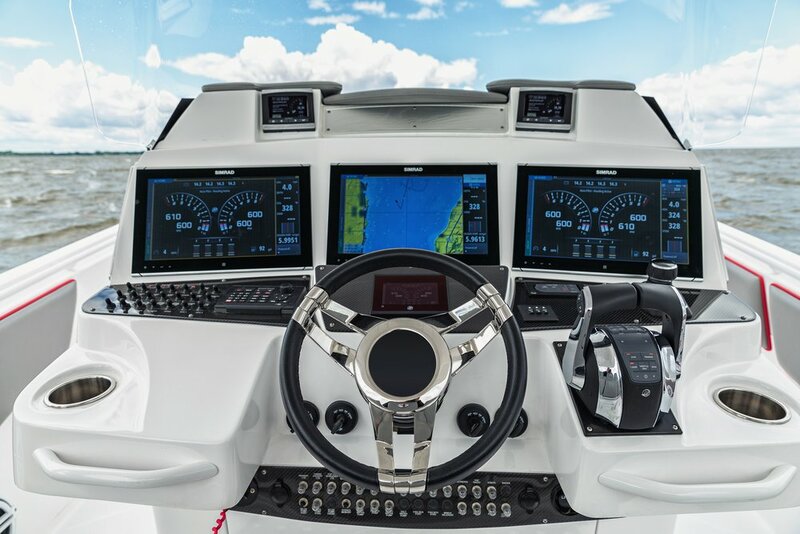 From engine data to vessel system information, Mercury® VesselView® – the premiere engine information display in the recreational marine industry – is the information portal to your boat. 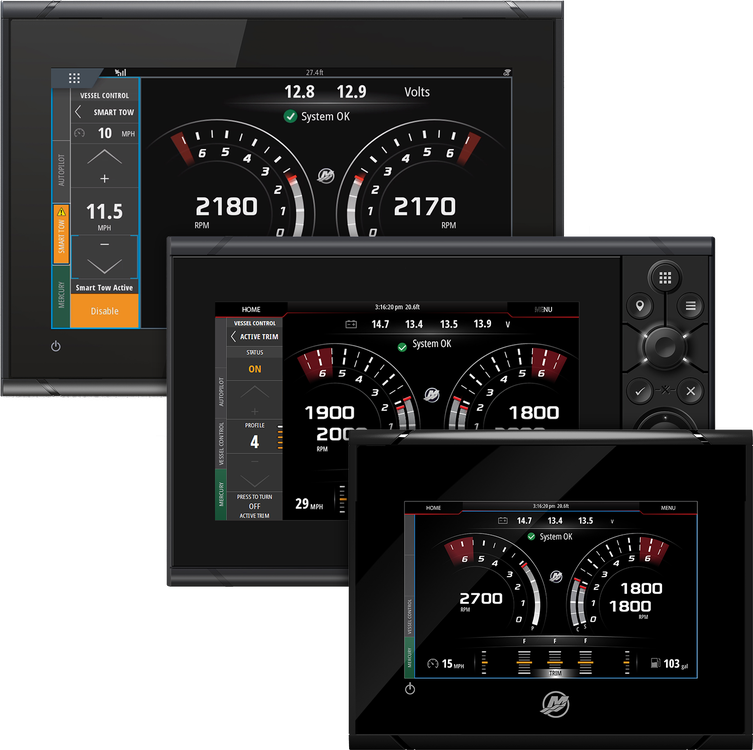 Mercury VesselView allows you to display engine information, genset, sounder, and much more. 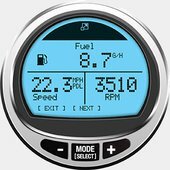 It has more information and data on boat and engine functions than any other system in the boating industry: rpm, speed, fuel flow and efficiency, temperature, trim, and more. 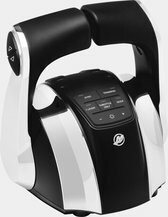 You can monitor up to four engines at a time on an intuitive, "at a glance" LCD screen. VesselView keeps track of everything. So you can keep track of more important things. Like the fish. 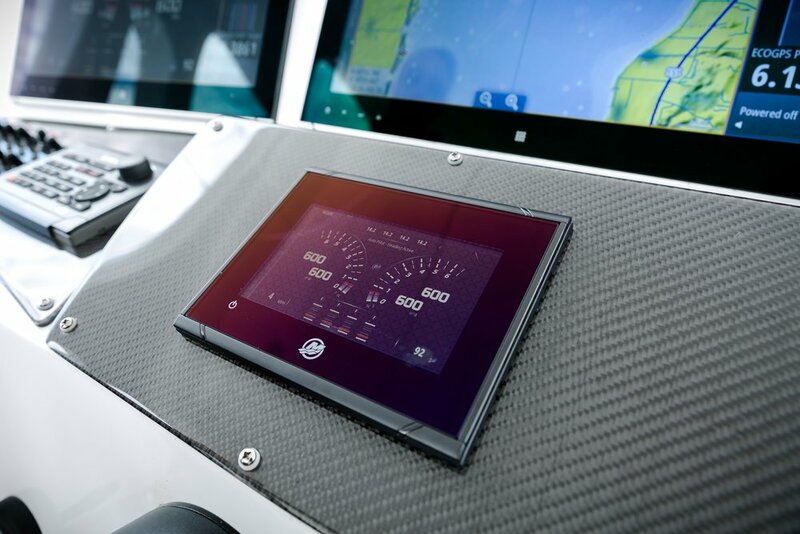 The VesselView suite of multi-function displays offers you flexibility based on your helm and boating style. 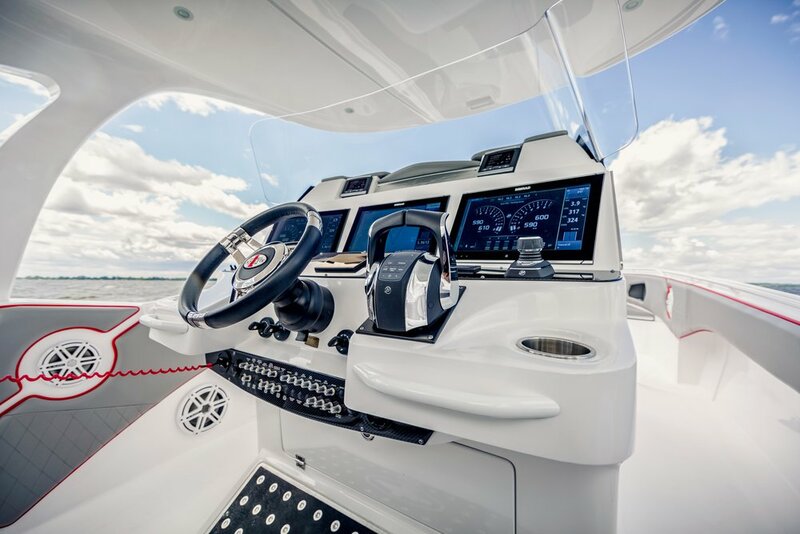 All VesselView displays have Active Trim, Smart Tow and Troll Control interfaces. Simrad is a registered trademark of Navico Inc. and Sirius is a registered trademark of Sirius XM Radio, Inc. Looking to fully integrate your existing multi-function display with your Mercury propulsion system? 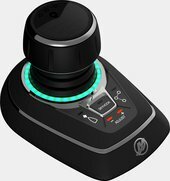 VesselView Link is the answer. Offered in single-engine or multi-engine (2 to 4 engines) versions, this is your link to all the features SmartCraft has to offer. Available on compatible Lowrance and Simrad displays, you now have all the VesselView information and control capability at your fingertips. With a user interface that’s easy to navigate, you’re able to integrate the following systems into one display.